A question I get asked regularly is, 'what exercise is better, squats or deadlifts?' But without any context that is kind of like asking whether swimming or running is better for your fitness. Both have their benefits but you pick the one to best suit your goals. Both the squat and deadlift are physically exhuasting for the lower limbs and muscles around the spine so you don't want to do either of them while fatigued. It is difficult to fit both into an intense training programme so what follows is some information on both of these exercises to aid you in the decision on which to include in your training regime. Firstly because of the amount of muscle that each lift recruits, it is fair to say that they are two of the best measures of raw strength. So much so that they are two of the three lifts performed in powerlifting competitions (along with the bench press). They are known as 'compound exercises' which means that they are working more than once muscle group at a time, as opposed to 'an isolation exercise' which, as the name suggests, just isolates one particular part of the body. Both squats and deadlifts follow the same movement pattern but the key differences between the two are that the squat puts the load on the top of the back above the centre of mass of the body and the deadlift puts the load in front of the hips below the centre of mass of the body. As a result some argue that the ‘trunk’ or ‘core’ muscles are challenged more in the back squat due to the down forces acting on the spine. Both exercises work the muscles of the thigh (quadriceps) but due to the deadlift requiring an exaggerated hip bend, some are of the opinion that this exercise is one of the best posterior chain (glute, hamstring and erector) developers. Arnold Schwarzenegger himself was very adept at both the squat and deadlift, posting massive numbers in competition and just training in the gym. Arnold himself favoured the squat as one of the best quadriceps exercises as immense strain is put on them as you lower the bar eccentrically until you get your thighs to at least parallel with the floor. There will also be some glute and hamstring activation here especially if you are able to squat below parallel (hips below knees) but still not as much as the deadlift. There will be less calf muscle recruitment if you perform a deadlift correctly as the weight and force should be going through your mid and rear foot. However, due to previously mentioned joint angles and the fact that during a squat the weight is spread more evenly across the foot, there will be more calf activation. You will know if you have tried to squat with tight calves or if you have particularly short calves, that it is almost impossible to squat without lifting your heels as the calves flex. (HINT: to overcome this try putting a plate or block under your heels when squatting). Finally, with regards to the upper body the deadlift edges out the back squat here in my opinion because of the fact that you have to grip the bar with both hands and engage all of the muscles of the upper and lower arm. 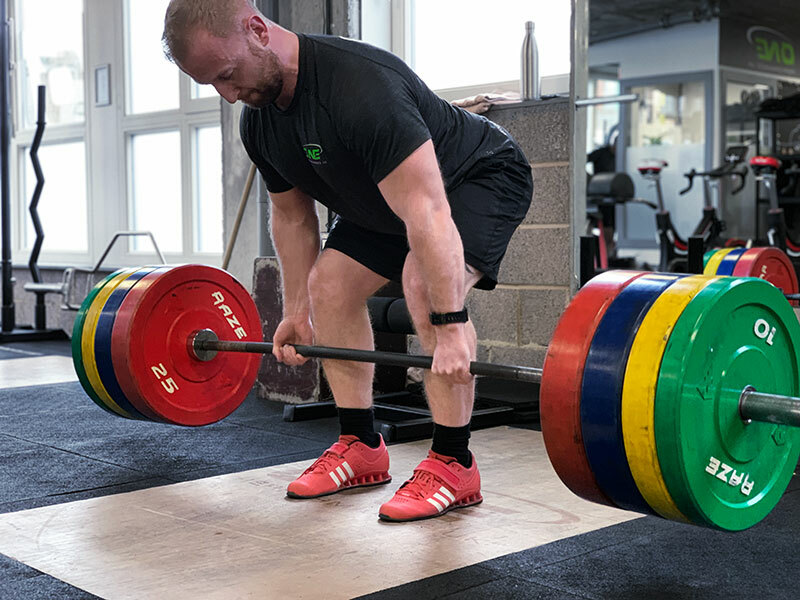 Grip strength plays a huge role in total body strength and health and the deadlift will aid in its development to a greater extent than the back squat. In summary, if you want to really spend some time working on building the musculature in your legs and posterior chain and you're running a bit low on time, both of these are great exercises to elicit such a response. Personally, my go-to would be the the deadlift as it is a more hip dominant exercise and challenges the glutes and hamstrings slightly more throughout the movement, which are neglected muscles in day to day training programmes. As always make sure you get a spotter and that you have learned the correct techniques from one of our personal trainers/strength and conditioning coaches before lifting anything heavy; quality of movement prevails over load!